Windows Media Audio, simply known as WMA, is widely used. But there are not many more programs or devices support this audio codec. So if you wanna play this WMA audio to other programs or devices like mobile phone, MP3 player etc, you need to convert it to other popular formats like MP3. Here we share some of the best ways to convert WMA to MP3 for reference. Freemaker Audio Converter is a program used to convert across different audio formats, merge audio files, and extract audio from video files. 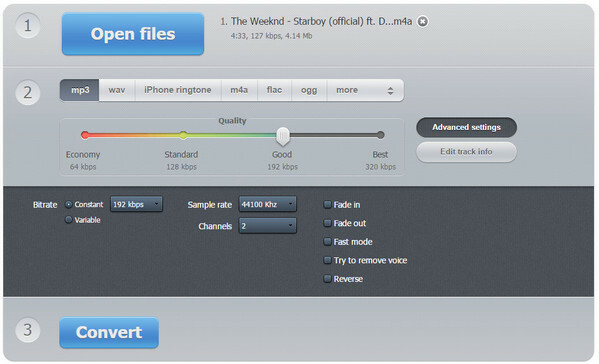 Download and install Freemaker Audio Converter. Then launch it and add WMA files you want to convert to MP3 using +Audio button. Click "to MP3" and choose a ready preset. Optimal quality is recommended. 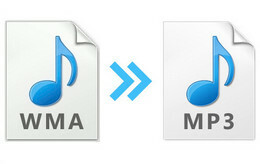 Click Convert button to convert WMA files to MP3. The WMA to MP3 converters mentioned are almost desktops. Here you also can use Online Audio Converter to convert WMA to MP3 online without asking registration. You just need a link. Step 1: Open Online Audio Converter on the internet. Click Open files to add MMA files you want to convert. Step 3: Select MP3 as output format. Choose MP3 as output format from the format menu. You also can set the bitrate by clicking Advanced settings. Step 4: Click Convert button to start the conversion. Any Video Converter Free is a simple and efficient program to help you convert WMA audios to MP3. Moreover, extract audio from CD / DVD is supported. Step 1: Download and install Any Video Converter on your computer. Step 2: Add WMA tracks. Click Add Videos to imput WMA tracks you want to convert. Click Outout Profile and choose MP3 as outout format from Audio Files icon. Step 4: Click Convert Now! button to start the conversion. Select audio in the center panel, click Clipping Video tool , and click the Start Point and End Point to trim desired section. 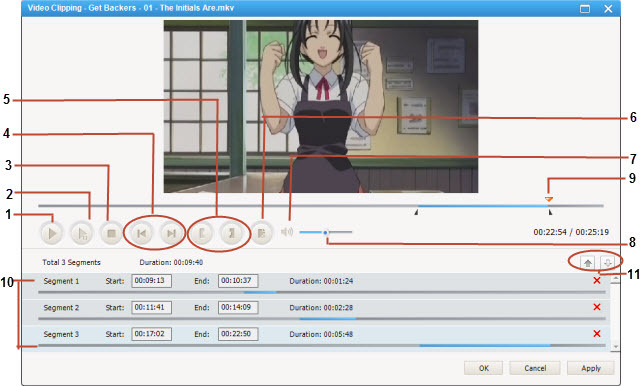 Go to the right panel of Any Video Convert main interface to set parameters for your audios. 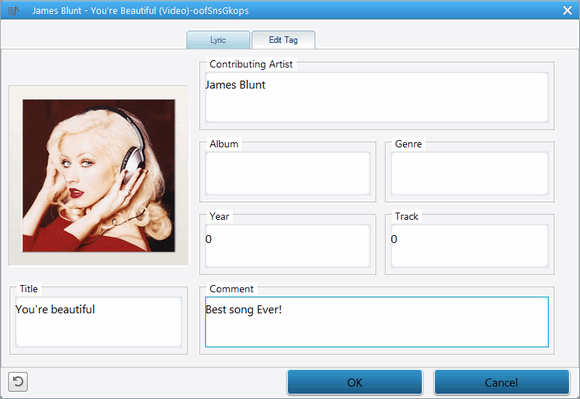 Any Video Converter allows you to add lyric to both original and converted audio files if the button is shown in blue. Any Video Converter allows you to read, add or edit media ID3-tag information including title, artist, album, album cover, year, genre and track of both original and converted files if the button is shown in blue. 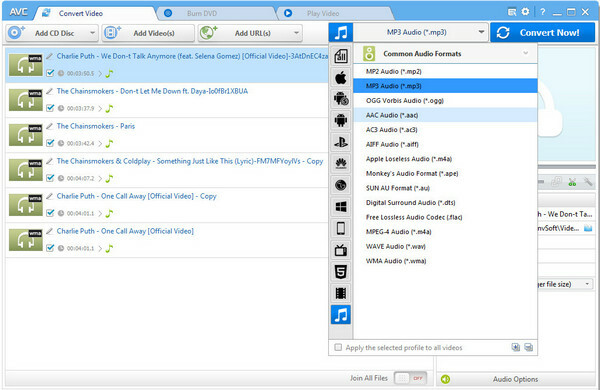 Just free download this WMA to MP3 Converter and try it right now!